As you may have noticed in our DJ Debriefing feature with DVS1, the Minneapolis-based producer is playing not one but TWO shows back-to-back at Output this coming weekend. 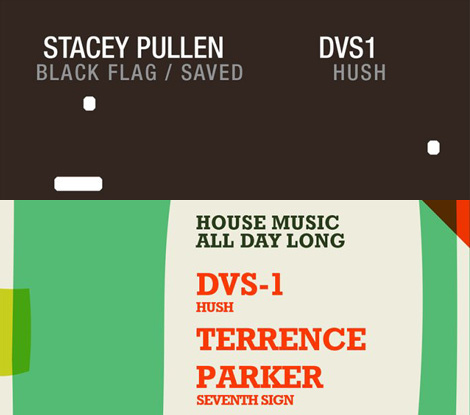 First he’ll be playing with Stacey Pullen on Saturday night and then the next afternoon with Terrence Parker. Line-ups this good make it difficult to choose, so LWE is making it so you don’t have to. To win a pair of tickets to both shows, simply enter our quick trivia contest: On which label did DVS1 make his debut? Send your answer to contest@littlewhiteearbuds.com by 12pm CST on Friday, August 23rd. One winner will be chosen at random from the correct answers and notified via email. Good luck!